The Savoy hotel is over 120 years old and has a unique setting located directly on the Thames. 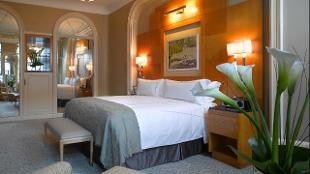 The Savoy’s 268 guestrooms, including 62 suites are the perfect place to stay. Honouring the hotel’s two main aesthetics, English Edwardian and Art Deco, the guestrooms and suites seamlessly blend the traditional with the latest in discreet technology. Is The Savoy, A Fairmont Hotel your business?